Display your beauty with simplicity & grace in this superlative pink and cream vishaetra and jecart stylish saree. 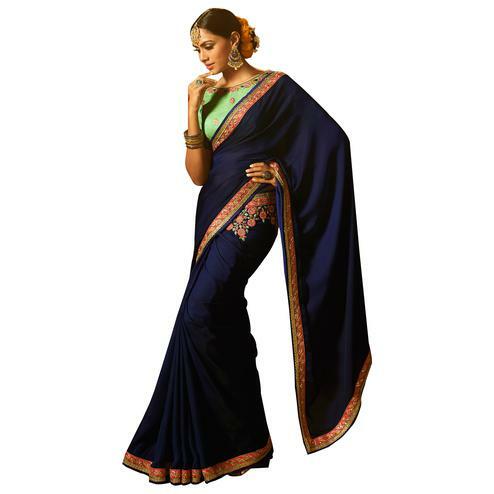 This pretty stylish saree embellish with embroidered and patch border. 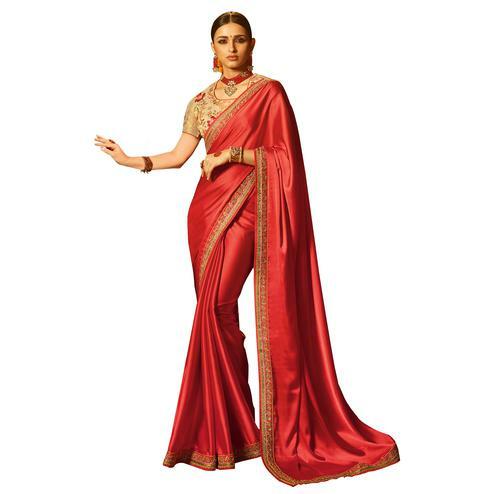 Suitable to wear for family functions weddings parties and festivals. 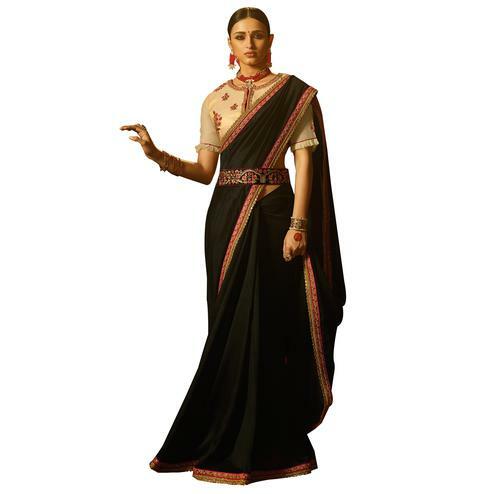 Team this saree with ethnic accessories and make your look more attractive.